With the release of MechJeb 1.9, the Autom8 module was finally released to the public (although in an early beta fashion). Now with the 1.9.1 release, things have got stable enough that a few scripts started popping up, and I've decided to create this new thread to focus on Autom8 script discussion and release. I'll try to keep the OP updated with links to any scripts posted here, and any documentation related to it. Create and test your script. Reading other people scripts is a good way to see how it works in general, and the Autom8 manual should help with what you need for your specific ideas. If you can't find it on the manual, post in this thread and I'll try to clear it up, or add new functions when needed. With your script done, send a copy to pastebin (bonus points for using Lua coloring ). Optionally, you could also upload a video of your script running so people can see what it does. With that in hand, just post a name for the script, the link to the pastebin copy and optionally a link to the video, and I'll add it to the script list. This thread is for Autom8 scripting discussion only, please direct any other MechJeb related discussion to the main MechJeb thread. Very nice. Can you add a 'mechjeb.api' command to 'stage', like mechjeb.stage. The theory is that I don't want to activate/deactivate the autostage but I want to fly to a certain point, foce a stage just once (or twice) to discard a booster that still has fuel or to 'eject' a satalite into orbit, then continue on with the script? Nice work. I hope you're enjoying this process. Edit: Can you also expose the craft weight and thrust or TWR or all of it. It's available in the information screens. I'm thinking of a script that will auto-abort if a pilot tries a maneuvor that is beyond the craft capabilities. Is there a way to abort a script mid way if a disaster is detected? Lots of questions and lots of opportunities bouncing around my head. Here's an idea, make scripts that are specifically made for certain rockets. That way if you share it in the Spacecraft Exchange, instead of having a detailed list of instructions you can just give people a demo flight. The technology should be craft independent. A 'circularise' operation on one craft will be exactly the same for another craft, unless it is so bizarrely designed it requires odd instructions. I expect to see a library of common scripts accumulate in this thread so even amateurs can copy/paste the operations they need into a sequence to complete their mission profile. Edit: Can you also expose the craft weight and thrust or TWR or all of it. It's available in the information screens. Is there a way to abort a script mid way if a disaster is detected? mechjeb.stage() works since 1.9.1, just not documented yet. Check the vessel. * variables in the docu: vessel.mass and vessel.thrustAvailable are what you want, they're in there. mechjeb.controlRelease() should stop any running Mechjeb sequence. I think both generic and craft-specific scripts are a good thing. Craft-specific scripts could help with ships that are hard to control, say, a heavy spaceplane that requires precise input to lift off without striking the runway or the ground - just provide a liftoff script with the plane in Spacecraft Exchange, and you don't have to teach people to fly it. Scripts posted in this thread should remain ship-independent, within reason of course. E.g. I'm currently working on a Buran-like space shuttle deorbit and landing program, that would obviously only work on spaceplanes that are good enough in atmospheric flight to actually make the runway. I know it is, but it's the crafts that have weird instructions that I'm talking about. You could have a craft where you fire one set of engines a few seconds before another set, but another person trying out your ship might not know that. You could use a script specially designed for that ship as a way to give instructions on how to fly it. Cool feature. Is there a way (or will there be a way) to actually control RCS thrusters, SAS modules, etc, from the autom8 program? Then we could develop our own control algorithms for attitude control and things like that. I'll add some way to register a callback to the drive() function in the core, so people can control things directly. But... why would you need to do that in any sane case? Mechjeb can fly almost any ship perfectly already. Exception: Invoke function call on non function value. I have the lua file in place - you can see it's loaded. 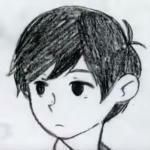 My lua script is copy/pasted from wiki. ?? Space between flymetothemun and the (45,45)? I dont even get that far. Mine says it cant find the file. I followed the instructions, as simple as they are and still cant seem to get this to work for me. Downloaded the script to ksp_win/plugindata/mumechlib/. Named the file mun.lua. When I type: dofile("mun") it just brings up the search string and says its not there. where am I going wrong? I know its a extremely long shot, but is there any chance of access to the Windows calibrated Joystick data? Or at least access to the raw data that Unity has access to (can do calibration in the autom8 script). Access to that data without having to map in KSP's control settings would be essential. Could you make it load Autorun.lua? I downloaded the source and modified it myself to do it, but I'd rather not do it every update. I've found stuff can act weird if you don't append the .lua, somehow. IsolatedStorageException: Could not find file "C:\Users\not yours\Documents\KSP_win\PluginData\mumechlib\mun.lua". IsolatedStorageException: Could not find file "C:\Users\not yours\Documents\KSP_win\PluginData\mumechlib\mun". Check that you're at the last version of MechJeb, 1.9.1. Other than that, I guess only r4m0n can really help here. A new script is finished and ready for release: Spaceplane Orbit-to-Runway automatic landing program. You're in orbit with your spaceplane, want to land on the runway, but don't know how to get there? No problem - use the Orbit-to-Runway autopilot and you're all set! Just make sure you're in a stable orbit above 80km that's not too strongly inclined and that your spaceplane glides stable-ish (equatorial orbit works best, polar will require a very maneuverable spaceplane). Call "dofile("Shuttle")" and then "Land()". You can also specify a glideslope angle and glide distance from runway, defaults are 3Ã‚Â° and 40km. Very nice, that will be extremely useful. I'll add it here, I've actually forgotten to include it in 1.9.1. That was the problem. thank you R4m0n for the quick response. Let the good times roll. and 'report' to the window the vessel's current height? How would I do this (assuming it's even possible). Here's my beginning efforts. A simple orbit script that could be used by anyone. print "Launching to parking orbit"
print "Launching to geostationary orbit"
print "Usage: launchtoparkingorbit()   (puts craft in 125km orbit)"
print "Usage: launchtogeoorbit()   (puts craft in geostationary orbit)"
I'll offer more sophisticated scripts as I get better at this. This template means you can type usage() anytime you like and get a list of functions within the file. I already have four functions and I'm already forgetting the exact syntax. I can type usage() and get an instant reminder.